Matt Renshaw has been called up to the Australia squad for the fourth and final Test against South Africa in Johannesburg. Renshaw has earned a recall back into the Test side in the wake of the ball-tampering scandal which has rocked Australian cricket. The 21-year-old Middlesbrough-born batsman was originally dropped ahead of the Ashes series in favour of Cameron Bancroft, who was caught using a foreign object on the ball during the third Test against South Africa. Bancroft was fined 75 per cent of his match fee and given three demerit points by the ICC for his part in the incident, while Australian captain Steve Smith was handed a one-Test ban and fined 100 per cent of his match fee after admitting the opener’s actions were planned by the ‘leadership group’ of players in the Australia team during the lunch break. Bancroft, Smith and other senior members of the Australian squad now face the prospect of further punishment from Cricket Australia, who have sent officials to South Africa to investigate the incident. Australia head coach Darren Lehmann will offer his resignation ahead of the fourth Test according to several news outlets. Lehmann has remained silent since Bancroft was caught on camera attempting to manipulate the ball with sticky tape before hiding it down his trousers during the 322-run defeat to South Africa in Cape Town. 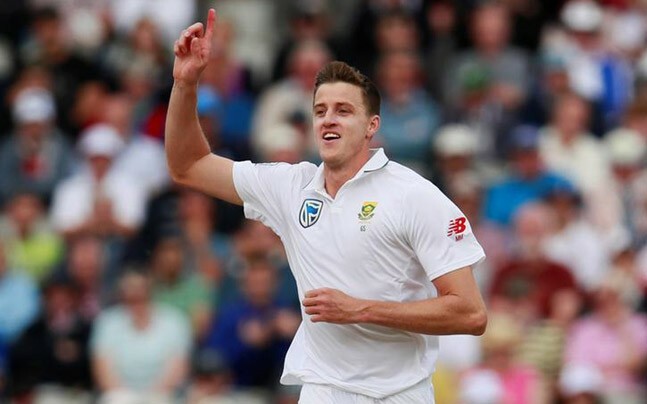 Morne Morkel, the Proteas stand out player from 3rd test now awaits his finest moment in his 86th test for South Africa after announcing retirement earlier in the test series. This after his remarkable achievement becoming just the fifth South African in history to take 300 Test wickets on Friday. Join us for the the fourth and final Test between South Africa and Australia in Johannesburg at the Wanderers by booking your hospitality package here.